I wouldn't mind being in that area every now and then. My dad just bought a house there. Has someone called or does someone want to go ahead and call? Just get permission or instructions from someone like Dillow, Wayne, or Scott before doing so. It seems that it's about 600 x 200. I'm going to try to get in contact. Michael, do you have any better inroads than general info? Just reviving this... Chris, I don't have any names other than what Scott posted before on the school. But if you guys are still looking into this one, including maybe a street survival type of thing might get it some positive reaction from the school board. There isn't any autox action in this area since its too far east for TRSCCA so it might bring some new players for you guys. I can certainly spread the word around if you guys ever got the lot to run. We discussed this one a little last night at the meeting. 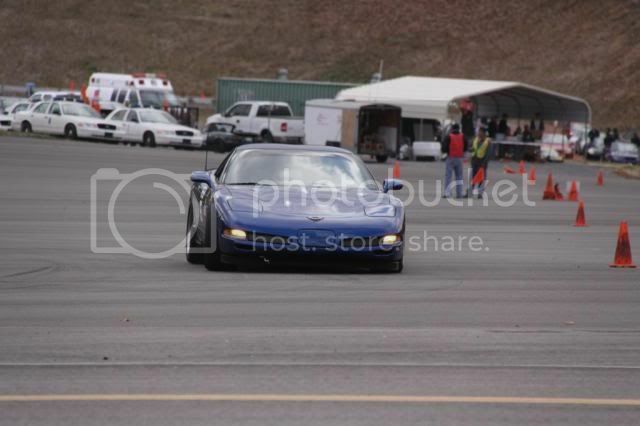 It's probably not big enough for an autocross because of the light poles. Logistically, it would be tough to setup a course that would allow for a good event flow. A small event might be doable, but we'd need to get out there to see if it could be done safely. I measured the lot. It's about 550x180, and the poles are 1/3rd of the way in on one side. We would probably have been better off if they were smack dab in the middle, because that orientation pinches us real bad on one side. Here's a good look at it. 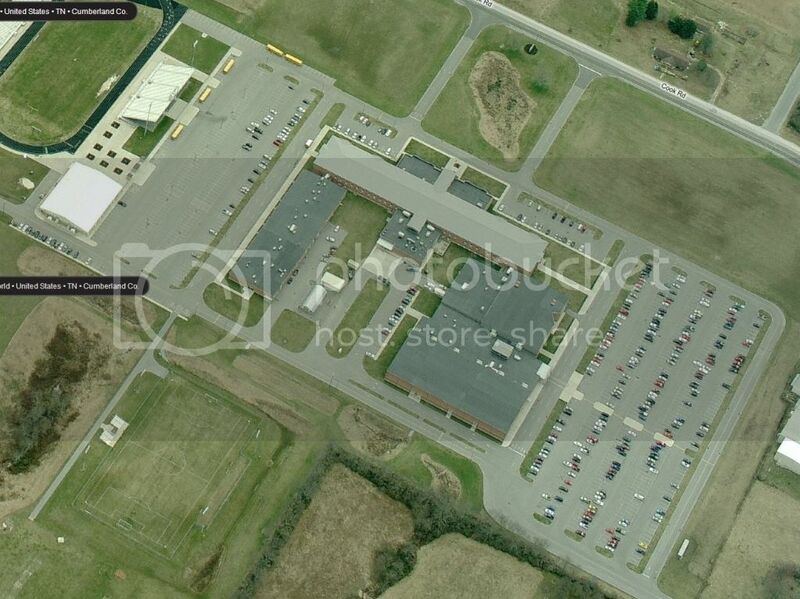 Are those islands on the school side raised concrete or are they flat? If they are flat, that might be a possibility. I wonder if a course could be designed safely enough to use both the main parking lot and football parking lot utilizing the roads in front of and behind the school linking them? Slowing that section down, and not knowing what the roads look like, curbs, ect.. from street level would be the major hang-ups I can see. Just a thought looking at the overhead views. We need to start getting more aggressive in Chatt to find more locations. I like that ETR is constantly on the lookout and you all quickly follow up with the right people. From the above picture it looks like possible speed bumps in the front and rear at both ends. Poss some one sort of close by can verify yes or no on speed bumps. Also need to think about where to grid and paddock.Safty would also be a problem with so many hidden corners. One heyman watch this and old boy is down. jcford80 wrote: I wonder if a course could be designed safely enough to use both the main parking lot and football parking lot utilizing the roads in front of and behind the school linking them? Slowing that section down, and not knowing what the roads look like, curbs, ect.. from street level would be the major hang-ups I can see. Just a thought looking at the overhead views. I'll swing by the school on my way home today and update tonight what I see in the parking lot. Its been awhile since I looked at it all up close, but I doubt the front is usable. I'll check and find out. I drove through both parking lots at the school the other day. The side away from the football field would be good, but in the middle, there are concrete curbs that you see from google maps and in between each of those, there are speed bumps. No way to crossover the lots. And the front part of the school has a few speed bumps there too. But its pretty narrow anyways. I don't see much you guys can work with here. I'll keep looking around, but the Crossville area is limited with good ideal autox parking lots.